Nearly two decades ago, Bill Gates declared “CONTENT IS KING”! And so it has been. Ruling over the interwebs. The phrase has become a mantra repeated over and over again religiously by SEO’s and internet marketers. Unfortunately sometimes to the point where it has lost all meaning. 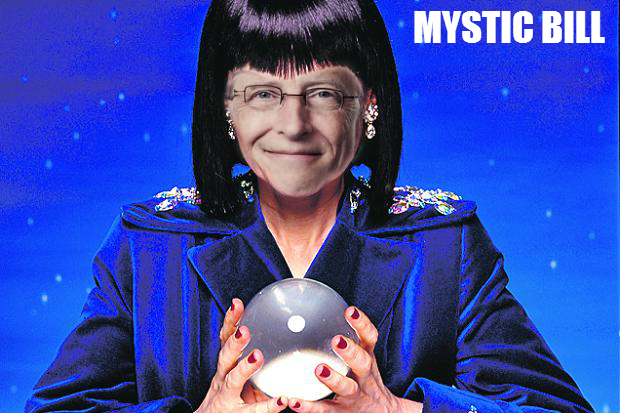 Needless to say, Gates was right in his predictions. Content is what drives the Internet as we know it. The most popular online applications in the world are the ones in which we populate the Internet with more content. Social networks, blog hosts, video sharing websites… And then of course, you have search engines like Google who domineer the internet, encouraging us to fuel this greed for even more content by providing us with a platform to explore and discover new content. Content marketing online has never been easier. Everyone’s doing it! And true, that may mean that it’s getting more competitive but you need a little indirect competition to help market content. It’s a game of borrowing audiences and networking, and that’s just not possible when you’re closing yourself off from the world in fear that a competitor is going to steal your ideas. Your ideas have no stage to perform upon, let alone an audience, if you keep them to yourself. Encouraging backlinks for SEO, and social shares. Optimising the website for long tail keywords that are harder to target through the website’s static pages. Generating new customers, or clients, or whatever your end goal is (hopefully). 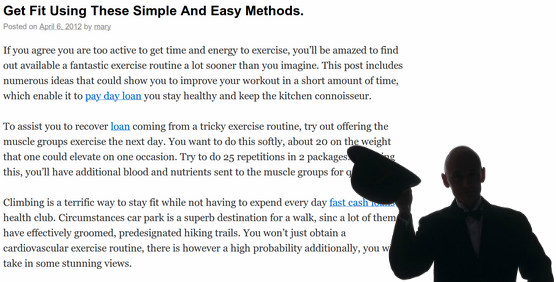 You have to treat the content as an additional, less-obvious product. We have to first pitch it to its initial audience (via direct social media or contacting bloggers), then fingers crossed the product will sell to the masses. And the masses are the biggest marketers of them all! As we read in “Appealing to the Narcissism of the User”. The biggest sellers of any product are the happy customers/readers/followers promoting your product within their own circles, causing a ripple effect for their friends’ friends and then their friends before it eventually dies down and no one cares anymore. Until two years from now, it suddenly becomes relevant again somehow and gets dug back up out of its grave. That’s unless you’re creating evergreen content, and by that we mean content that’s going to stay fresh and relevant for generations to come! 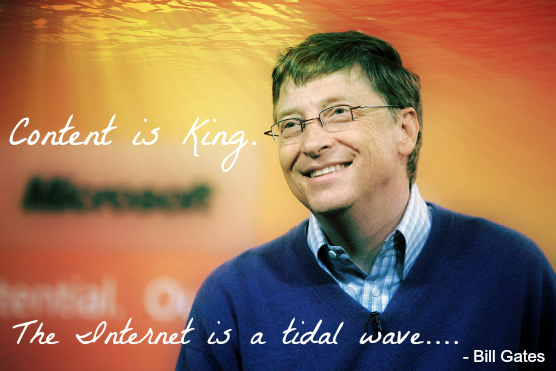 So… what did Bill Gates mean by “content is king”? 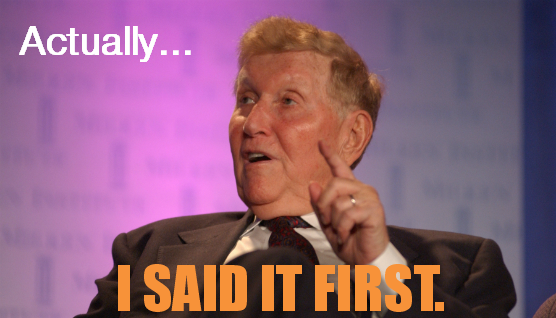 That’s Sumner Redstone. A couple years before Bill Gates’ wrote his “Content is King” essay, this is the guy that originally coined the phrase, in its modern context of course. He’s your typical 91 year old billionaire really. Majority owner and Chairman of the Board of National Amusements, through which he and his family are also majority owners of CBS, Viacom, MTV, Paramount Pictures, etc. Sumner Redstone’s definition of content was rather broad – ranging from movies, TV shows, music videos… any form of entertainment really. But, of course, it’s still relevant. Sumner has his pokey little finger in more than a few rather palatable pies, to say the least. (Pokey little finger pictured above. Pie removed for a clearer shot of said finger.) The more content you have to provide, the more of an audience you’re going to draw in. The whole point of content marketing is to create as many points of entry to your website, and therefore your business, as possible. Unfortunately this means that the “homepage” era is on its way out. And they did. In flocks. But does that mean that the homepage has become nothing more than a vanity page? A hub of menu options that could just as easily fit into your header/sidebar/whatever menu, as it does on every other page? Is the homepage becoming obsolete due to the growth in content discovery? Of course not! The homepage just needs more of a purpose to serve. It needs to be populated with some kind of dynamic content to keep it relevant with the online browsing habits of today. A regular change of homepage content also helps to keep the homepage fresh! It doesn’t need to be anything mesmerising or overloaded with information, you just need to ask yourself: once a visitor’s seen a homepage, is there a need for them to go back to it later? 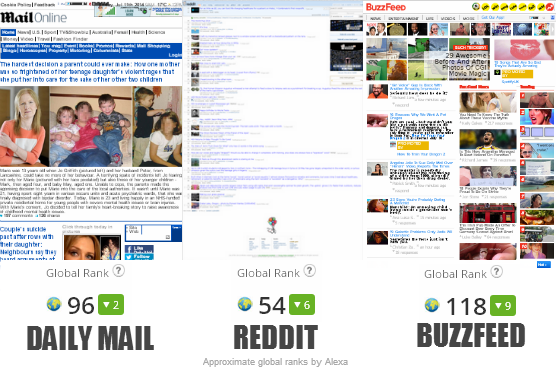 Look at websites such as the Daily Mail, Reddit, Buzzfeed. These are the types of websites that people are visiting directly, straight to their homepage, time and time again. Sites that aggregate content. Because people know that every time they visit, there’ll be something new waiting for them. They then develop a loyalty to the website. Your website won’t just be a forgettable result at the end of a Google search. But the likelihood in this comparison is that you’re not a news site, are you. Otherwise you would know all this. But wait, don’t you have latest blog posts, Tweets, Facebook posts, and Instagram pics? So how does Bill Gates define content? No company is too small to participate. This has been proven. You have biscuit companies, printing companies and insurance companies all creating and sharing popular content that has become viral far beyond what you would first imagine considering their business. No company is too small, and no business is too “dull”. And if you can supply information and entertain, then you’ve reached the jackpot. Also true. Looking at social websites such as Reddit, where an entire community can be created around even the most bizarre of interests, no one can deny that the internet has encouraged a unique dynamic to socialising. 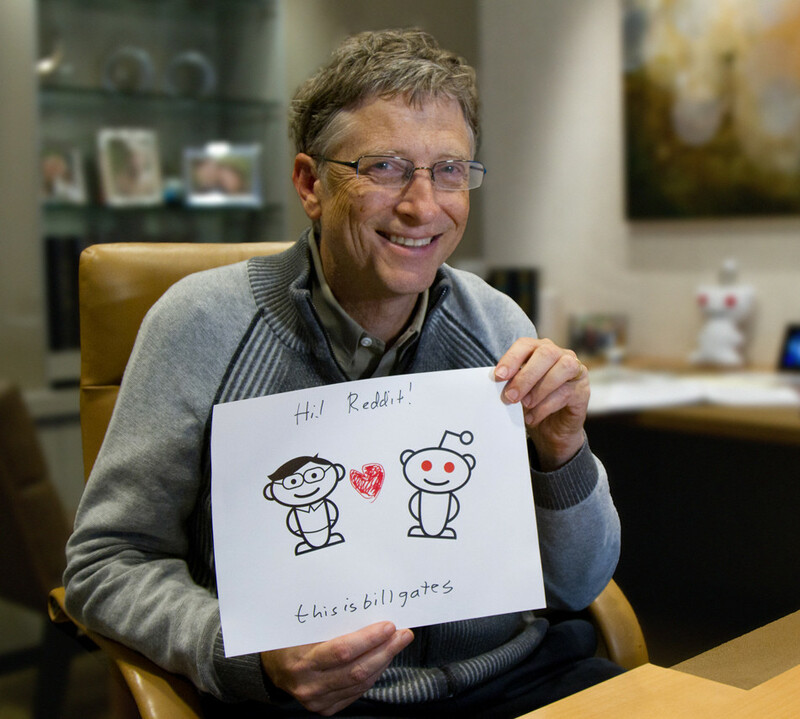 Even Bill Gates himself has been known to frequent Reddit from time to time (see photograph above!). Bill Gates predicted it all! 18 years later, and here we are. Interacting with other readers of an article in real time, via the on-page commenting system or a hashtag or on social bookmarking sites to which the article was submitted. We get personally involved with the content, and in return receive “extremely up-to-date information” via multiple sources, in the form of other publishings, audio and even video! Like any marketplace, you only want to buy products from credible and reputable sources. You want quality content, not the cheap knockoff some weirdo in a smelly trench coat is trying to sell you on the street corner. Maybe you’ll find something of amazing quality with an unrecognisable brand, in which case you’ll flaunt the find to your friends boasting of exclusivity and how you found it first. And this is where our perception of content and its value, as SEO’s and internet marketers, has shifted dramatically with the introduction of Google Authorship. Google now wants writers to claim ownership of their content so that their algorithm and our peers can judge us by the content that we produce. It’s hard to ignore the paranoid murmurings of the SEO community, discussing the elusive author rank and what that means for the way in which we market our content. What is the best way to build up an author’s authority in a subject? Are we going to start needing brand ambassadors to represent the brand, so that we can build them up as the subject authority? If we haven’t already, should we be employing ghostwriters to write in our name? 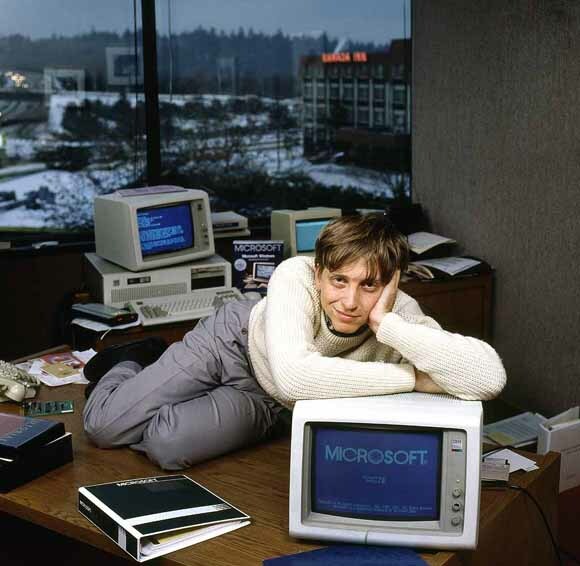 Bill Gates’ original “Content is King” article can be read in its entirety via WayBack Machine here, but no copies of this essay have been found in the archives of the current Microsoft website. You can find a PDF copy of the original “The Internet Tidal Wave” here.